The Fellowship was fortunate enough to obtain a copy of NO ANGEL #1 from Black Mask Studios. Eric Palicki and Adrianne Palicki write, Ari Syahrazad draws, Jean-Paul Csuka colors, and Jim Campbell letters. Hannah is an FBI agent and an Iraq war vet, but even that can’t really prepare you for the murder of your father and brother. She goes “home” to rural Wisconsin for the funeral only to learn that her father had been having a long-term affair. Hannah’s upset, naturally, but the seemingly nice woman hands her a Bible verse referring to the Nephilim. When Hannah tracks her down again, she learns way more than she could have ever thought possible. As first issues go, this one is a gem. It does a fantastic job of showing us the kind of person Hannah is, using character interaction and a cool flashback to the war. It presents a police procedural that’s just slightly outside the system, which adds a level of interest. And it jumps us with a couple of twists along the way that let us learn about some serious weirdness in this town right alongside Hannah. I also love what the art does with perspective; the angle shifts add another level to the whole story. Hannah’s cop sense was tingling at the beginning of this issue, but by the end she’s intrigued on a bunch of other levels. And honestly, I am too, and I can’t recommend this one enough. 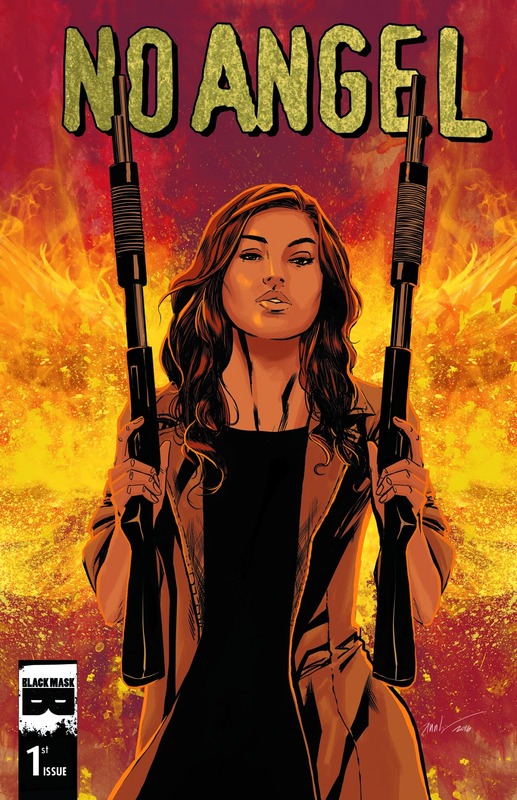 NO ANGEL #1 is available now at your FLCS or at blackmaskstudios.com.